Windshield Replacement, Repair & Glass Tinting. Serving the entire state of Arizona. At Diamond Auto Glass, we are the leading windshield repair and replacement specialists in the state of Arizona. With over 30 years of experience in the field, we have invested in the technology and equipment needed to keep vehicles and passengers safe. Call our skilled technicians to put your mind at ease. If your windshield is cracked or chipped, we repair it with a liquid resin that will cure in half an hour, getting you back on track. For major cracks and breaks, we will install a new, OEM windshield that adheres to standard code and regulations in Arizona. 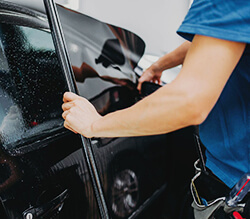 Auto glass is specifically designed to protect the vehicle’s driver and passengers, and our conducts repairs with the best equipment in the industry. At Diamond Auto Glass, we replace auto glass windshields and side windows to promote safe driving and security in an accident. We offer auto glass tinting to protect the vehicles from interior damage and drivers from UV rays and intense heat buildup. Smart Glass is a new type of windshield that’s becoming popular by combining technology and laminating materials that self-tints. Stuart Weatherman has been providing the state of Arizona with excellent, high-quality services for over 30 years. With a commitment to thorough training, certification, and friendly customer service, we make sure that all of our customers are treated like family. At Diamond Auto Glass, we are proud to offer Arizona customers high-quality windshield repair, replacement, and tinting services complemented with affordable prices. If you need repair or replacement work done on your windshields quickly, don’t hesitate to call us for assistance today! 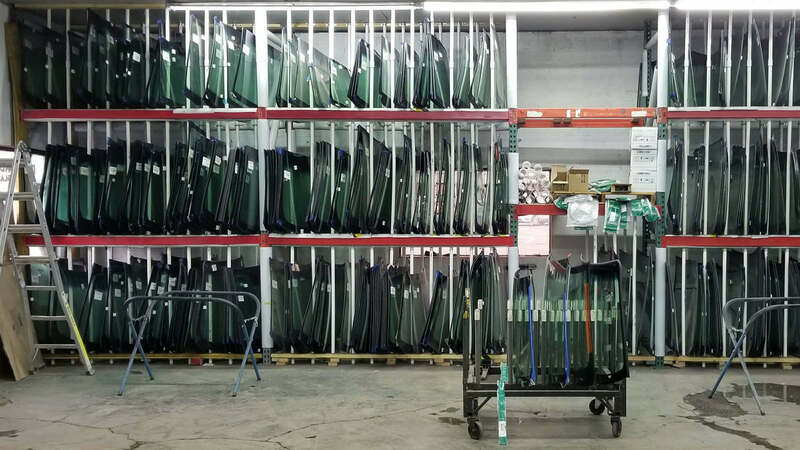 We at Diamond Auto Glass aim to build a lifetime commitment to our clients by providing the best quality of products and services in the most professional manner. Money is not going to be a concern as we work with all insurance and fleet services. We know how much our clients value their time and we respect that. We make it easier for our clients to book an appointment with us. We care about our clients’ safety. As vehicles greatly depend on the windshield, only the best products should be used to ensure the safety of passengers. For over 30 years, our company has built a reputation for quality products and services combined with professionalism. We gained a lot of loyal clients who keep coming back for our services when they need help with their vehicles. Our company has been in the same ownership throughout those years and it has a very strong foundation. We have been recommended to our clients’ family and friends because they know how we work and what kind of service we provide. We offer a variety of services to address your vehicle’s needs. Among these is the windshield repair. Accidents can happen anytime anywhere; a small chip in the windshield can be a start of a bigger problem like a crack. Most people tend to ignore it, but honestly, that chip won’t magically disappear; instead, it will just get worse if not taken care of. Windshields are the main protection when on the road, so any damage, great or small, can lessen the safety of the vehicle and its passengers. Windshield damage can impair the vision of the driver. Having it fixed immediately is not an option but a must. Having a skilled, experienced and trustworthy company to get the job done can put your mind at ease. Diamond Auto Glass is now an official dealer of Dub IR Window Tint, the most luxurious and effective window tint on the market. 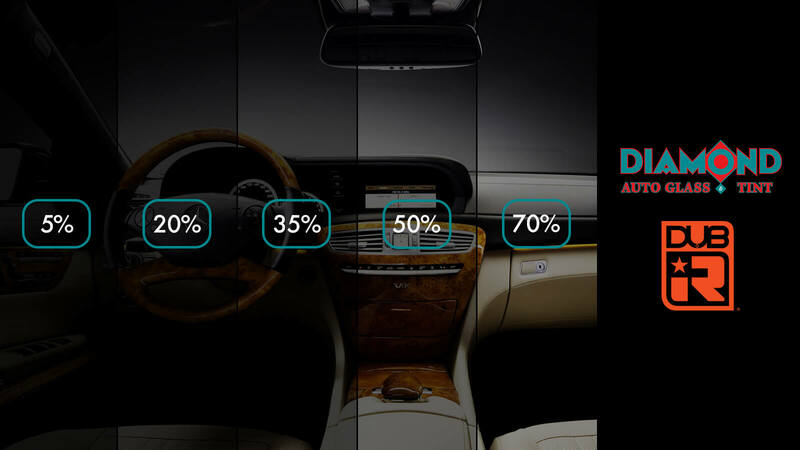 Dub IR Window Tint blocks over 99% of UV and 90% of infrared rays, keeping your cabin cooler and guarding your skin against dangerous UV exposure. It also comes in several shades, allowing you to customize your car’s appearance while providing the clarity and protection needed from the sun in Arizona. . Contact Diamond Auto Glass for a quote today! We respond to all quote inquiries within 24 business hours. "I called in after hours with then intent to just leave a message for a call back and even though the office was closed I still got my call answered! I was told they had the best prices in town and after calling around, Diamond Auto was the cheapest! Customer service is above and beyond and even while in the waiting room it was a nice feeling to witness this service for others not only myself. Office is very neat and clean and the atmosphere is warm and friendly. Thank you Diamond Auto and I will be back for those new tints!" "Stuart helped me out. I came in with three chips/cracks in my windshield. Stuart was friendly, polite, and easy going. He quickly assessed the sad state of my windshield and didn't try to sell me some BS i didn't need. Stuart worked hard in the heat to ensure all three damaged parts of my windshield were replaced, and we waited just a bit for one of the more difficult chips to fill. I left to grab food at the Farmer's Market around the corner, and everything was done before I returned, about 10 minutes later! Fast, inexpensive, professional, kind- what more can you want?"